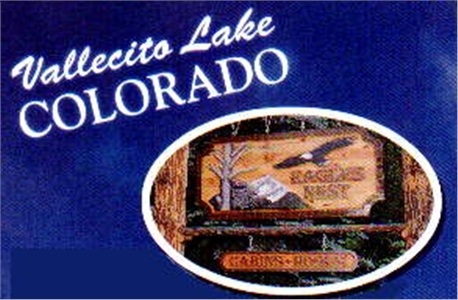 Eagle's Nest offers a lovely selection of charming cabins and homes located in the Vallecito Lake area, east of Durango, Colorado. 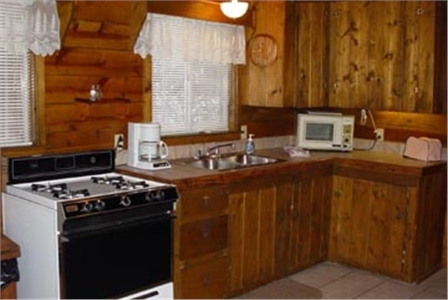 Tastefully decorated and located in beautiful and peaceful wooded settings, the rustic log-sided cabins come with modern amenities for an enjoyable stay. 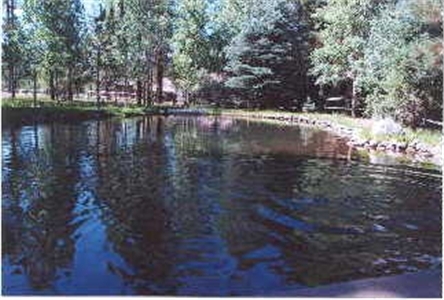 Some offer waterfront locations, including creeks, streams and spring fed ponds. 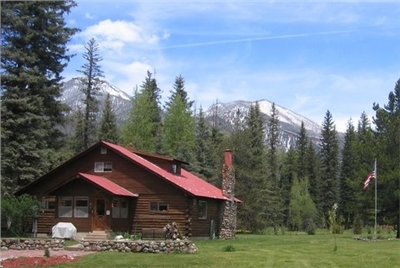 You'll enjoy the spectacular mountain peaks and area scenery. This is Colorado! 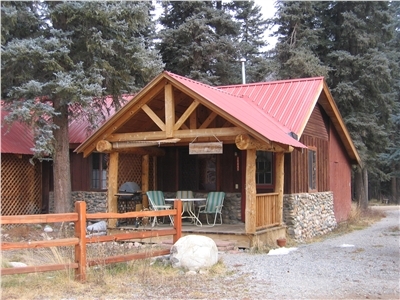 3 bed., 2 bath cabin. 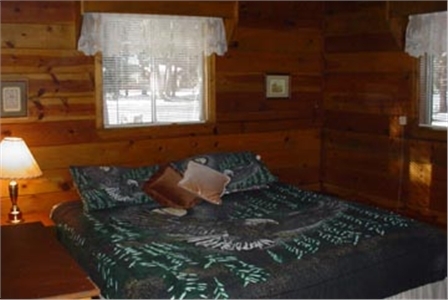 The downstairs of the cabin is 1 bed., 1 bath which is why we have the 2 person rate. 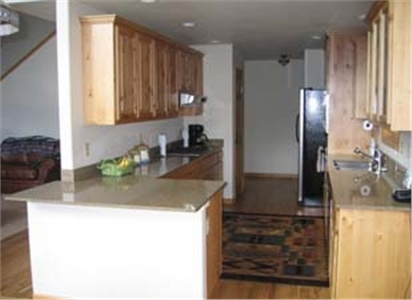 Fully equipped kitchen includes full size stove & refrigerator, microwave & coffee maker. 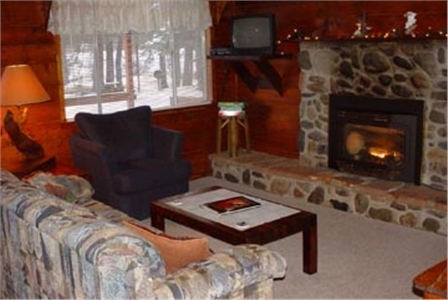 Gas log fireplace, jet tub/shower, king bed in the downstairs area. 2 doubles and a second bath upstairs. Satellite TV & WiFi. 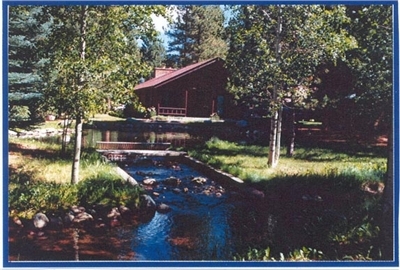 Covered deck, barbecue grill and gorgeous property to enjoy with our trout ponds and wildlife. No fishing but have fun feeding our wonderful & entertaining fish. Our campfire ring is centrally located by the pond. 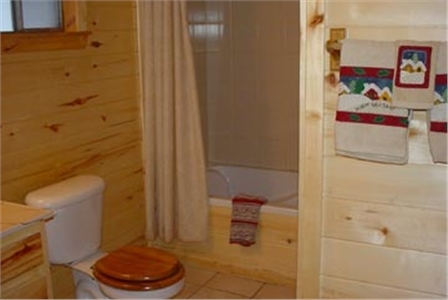 2 bed., 1 full bath cabin. 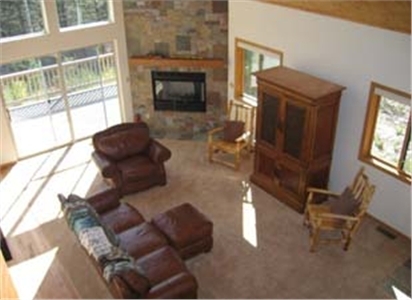 Enjoy the cozy stone fireplace with gas logs and Grimes Creek which crosses the property. Full kitchen. Both bedrooms have queen beds. TV with a VCR. Covered deck with gas grill. 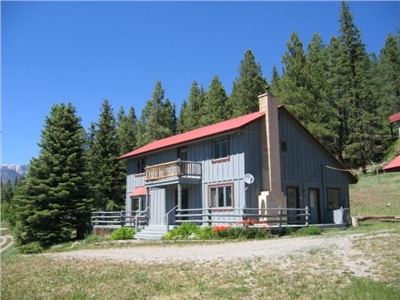 Beautiful newer 3 bedroom, 2 bath home located in a secluded mountain setting above Lemon Reservoir. 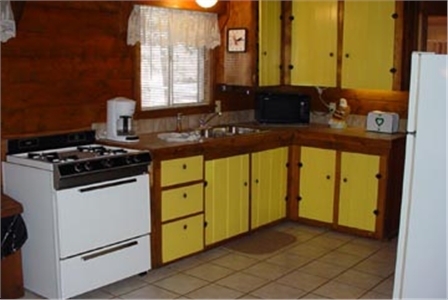 Fully equipped kitchen includes microwave and dishwasher. 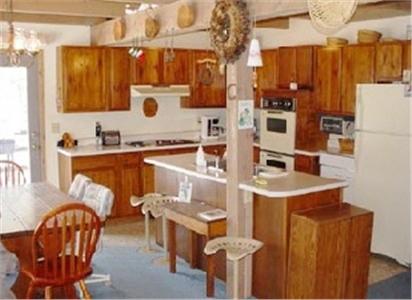 Satellite TV, VCR, DVD, phone, washer & dryer, gas barbecue grill and high speed internet . There is one king, two queens. Master bath has garden tub and separate shower. NO PET IN THIS HOME. 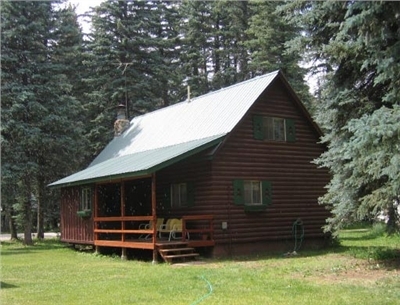 3 bed., 2 bath log cabin on 2 beautiful acres. Enjoy feedin' the fish in the large crystal clear spring-fed pond. 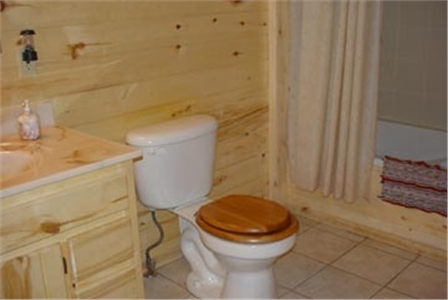 Bathrooms have been recently remodeled. Washer/Dryer, Dishwasher, Microwave, WiFi. 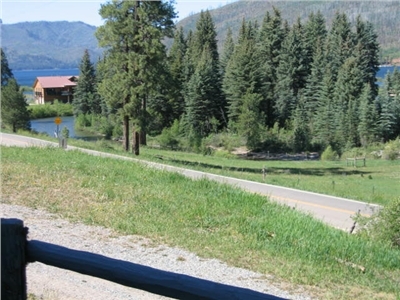 4 bedroom, 2.5 bath Vallecito Lake home located only 1/4 mile from lake/river inlet. Beautiful views of mountains, river with partial lake view. Home has a king, 2 queens, 1 double and a single bed. 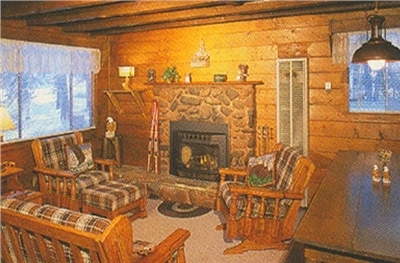 Pellet stove fireplace insert, large spacious deck and WiFi. 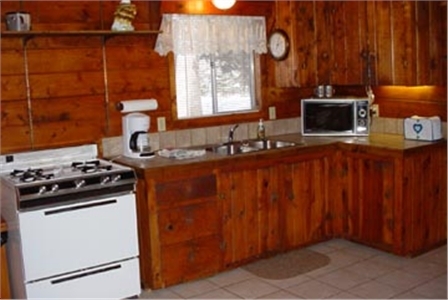 Fully equipped kitchen includes microwave and dishwasher. Satellite TV, VCR, DVD, phone, washer & dryer and charcoal barbecue grill. Rate based on double occupancy with addl' charge for extra adults, children and a pet (if approved). 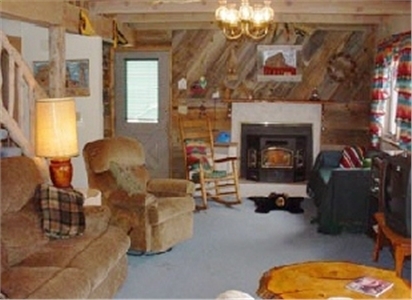 3 bed., 2 bath cabin. 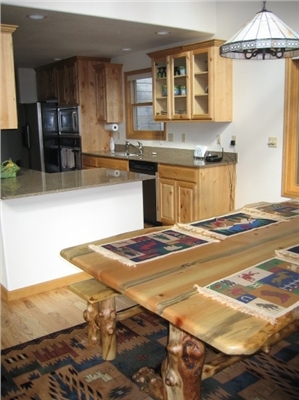 The downstairs of the cabin is 1 bed., 1 full bath which is why we have the 2 person rate. 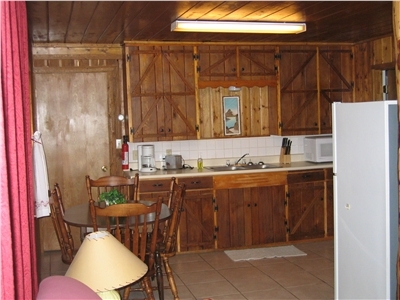 Fully equipped kitchen includes full-size stove & refrigerator, microwave & coffee make. 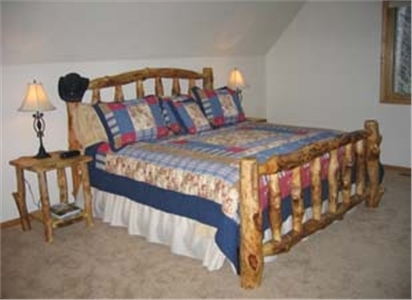 Gas log fireplace, jet tub/shower, king bed in downstairs area. 2 doubles and a second full bath upstairs. Satellite TV & WiFi. 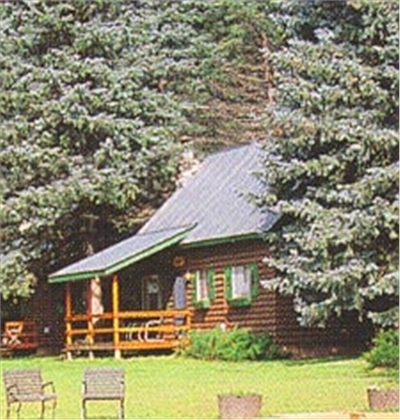 Covered deck, barbecue grill and gorgeous property to enjoy with our trout pond and local wildlife. No fishing but have fun feeding our wonderful & entertaining fish. 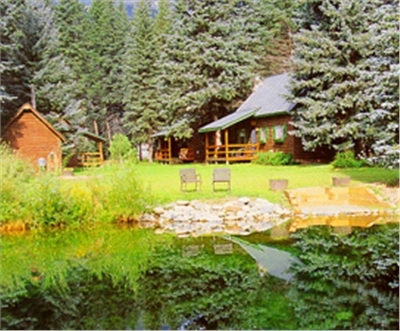 Our campfire ring is centrally located by the pond. Spectacular location for this beautifully decorated 3 bed., 2 bath home. The 2nd floor of the home includes the living room, kitchen, bedroom #1 with king bed, bathroom with jet tub/separate shower and bedroom #2 with queen bed. 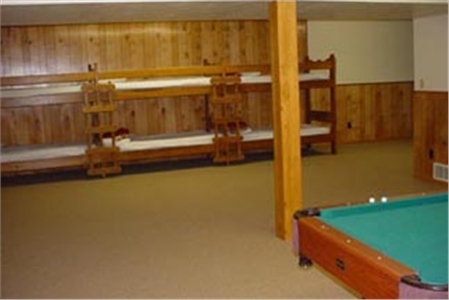 The lower level has bedroom #3 with queen bed, the game room with pool table, media room and laundry area. 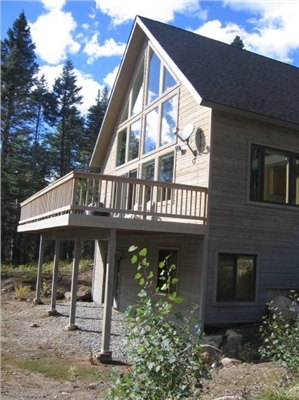 Wonderful deck & patio areas over looking the rushing creek. 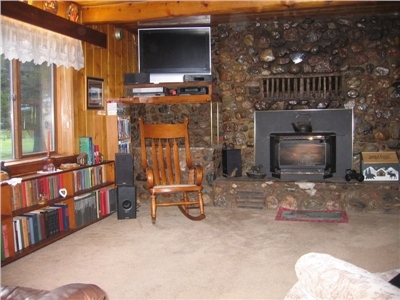 Wood-burning fireplace, satellite tv, dvd player and wi-fi. Gas barbecue grill. A small pet may be considered and requires prior approval. Beautiful 3 bedroom, 2.5 bath home with a 4th sleeping room accessed through Bedroom #3. 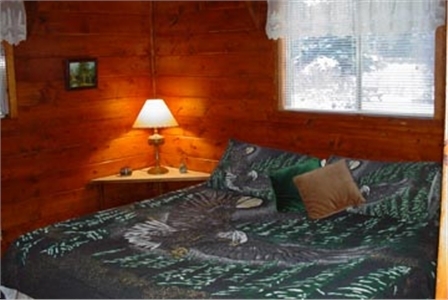 All 4 sleeping rooms have queen beds. Master bedroom with jet tub and separate shower is on the 1st level. Other bedrooms on the 2nd level. 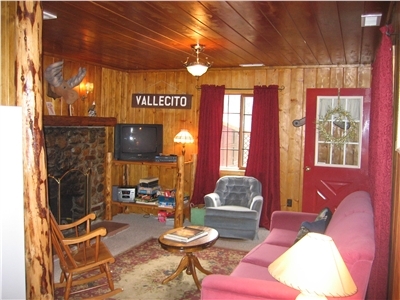 Located adjacent to the Vallecito River with detached deck on the river's edge. 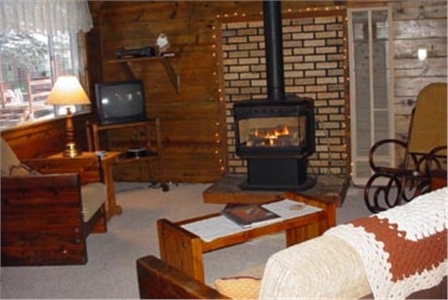 Wood-burning fireplace, covered deck attached to home, satellite TV, DVD player and Wi-Fi. Gas barbecue grill. PETS OK with prior consent only. 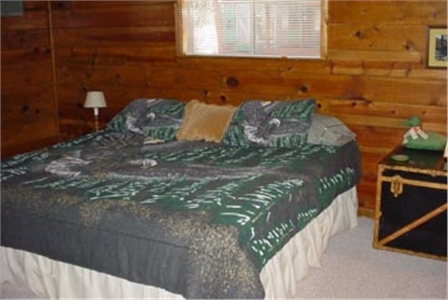 3 bedroom, 2 bath home includes a large fully finished basement that has 6 bunk beds , sofa bed and a pool table. Separate guest apt. will accommodate 2 more persons. All this is situated on a gorgeous 2 acre property with small creek and a "you feed em" fish pond. Even a basketball hoop! 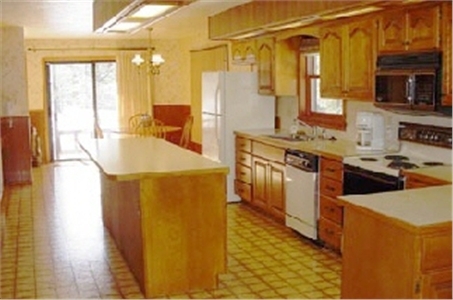 Fully equipped kitchen also has microwave and dishwasher. There is satellite TV, VCR, phone, washer & dryer and a gas barbecue grill. Two queens in the main level bedrooms. 6 bunk beds and a sofa bed in the basement. You may also rent the guest apt. if you require more space. NO PETS IN THIS HOME. 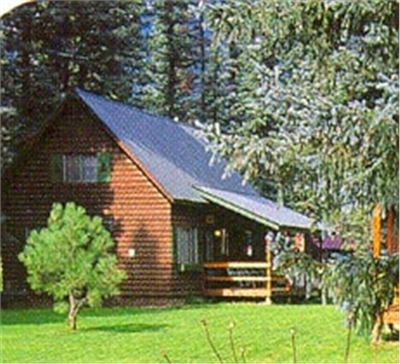 3 bed., 2 bath cabin. 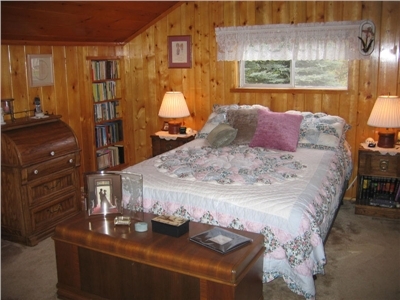 The downstairs of the cabin is 1 bed., 1 bath which is why we have the 2 person rate. 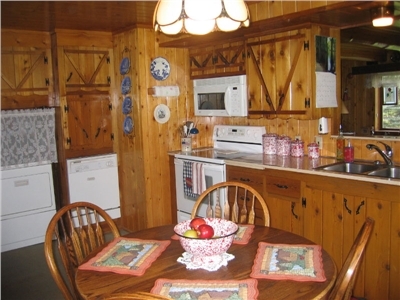 Fully equipped kitchen includes full-size stove & refrigerator, microwave & coffee maker. 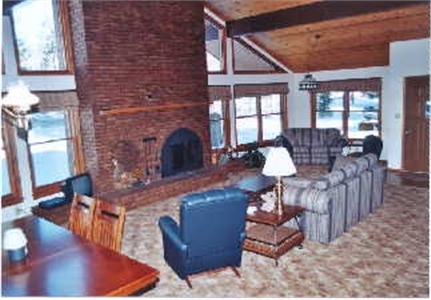 Gas log fireplace, jet tub/shower, king bed in the downstairs area. 2 doubles and a second full bath upstairs. Satellite TV & WiFi. Covered deck, barbecue grill and gorgeous property to enjoy with our trout ponds and local wildlife. No fishing but have fun feeding our wonderful & entertaining fish. Our campfire ring is centrally located by the pond. Start out going NORTH on MAIN AVE / US-550, Turn RIGHT onto E 32ND ST. E 32ND ST becomes CR-251. Turn RIGHT onto CR-250. Turn LEFT onto CR-240. Turn LEFT onto CR-501. LEFT on W. Vallecito Creek Rd. RIGHT to property. General	| All cabins and homes are non-smoking. Driving Directions: Start out going NORTH on MAIN AVE / US-550, Turn RIGHT onto E 32ND ST. E 32ND ST becomes CR-251. Turn RIGHT onto CR-250. Turn LEFT onto CR-240. Turn LEFT onto CR-501. LEFT on W. Vallecito Creek Rd. RIGHT to property. Cancellation	| 45 days advance notice prior to the check-in date to receive a full refund minus a $50 cancellation fee. With less than 45 days notice the refund is based on our success in re-renting the reserved space with possible deductions for extra cleaning, lost rental days plus the $50 cancellation fee. Deposit	| 50% advance deposit required by check on all reservations made 10 or more days prior to the arrival date. Credit cards accepted for deposits on reservations made less than 10 days prior to the arrival date. Balance is due on arrival. 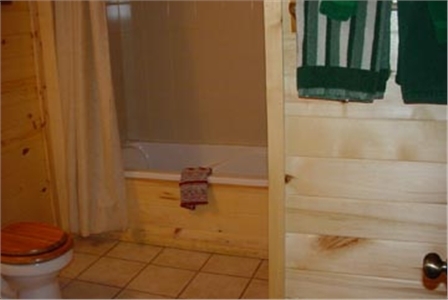 Pets	| Pets are allowed in some cabins & homes. Owner's are required to clean-up after their pet. Pets may not be left in the cabin/home unattended unless special permission has been granted by managers. In this case approved pet crates will be required and pets must not disturb other guests or neighbors. Pets are not allowed on the furniture or beds. There is an additional charge of $15 per night per pet. Other	| Cancellation - 45 days advance notice prior to the check-in date to receive a full refund minus a $50 cancellation fee. With less than 45 days notice the refund is based on our success in re-renting the reserved space with possible deductions for extra cleaning, lost rental days plus the $50 cancellation fee. Children	| Ages 3-17 are considered children.